Sen. Ted Kennedy will be honored tonight at the Democratic Convention in Denver, Colorado. His nephew, Robert F. Kennedy Jr., senior attorney for the Natural Resources Defense Council and president of the Waterkeeper Alliance, was named one of Time magazine’s “Heroes for the Planet” for helping lead the fight against Hudson River pollution. Robert Kennedy describes his uncle Ted as “the most reliable leader in the Senate on energy and environmental issues. He’s a guy I always go to for advice and support when we’re working on federal legislation.” This is one in a series of commentary pieces on CNN.com from both McCain and Obama supporters attending party conventions. Robert F. Kennedy Jr. says the U.S. has tremendous energy resources, including wind and solar. (CNN) — Barack Obama is a transformational figure in American history who’s been able to excite the same intensity of feeling among Americans as I saw during my father’s 1968 campaign and my uncle John F. Kennedy’s 1960 campaign. As a six-year-old, I attended the Democratic Convention in 1960 and traveled across the country in the Caroline K [the Kennedy campaign plane]. The excitement I saw then is echoed today as Barack Obama outlines his plans to get the nation moving in the right direction, to restore America’s role as an exemplary nation. America’s dependence on carbon to produce energy has eroded our economic power, destroyed our moral authority, diminished our international influence and prestige, endangered our national security, and marred our health and landscapes. It is subverting everything we value. A sophisticated, well-crafted energy policy designed to de-carbonize America is the centerpiece of Sen. Barack Obama’s domestic economic package. It will sharpen our competitiveness by reducing our energy costs, dramatically reduce our national debt, stimulate our economy far more effectively than tax cuts by putting conservation savings in the hands of every American, and be the engine for creating millions of green-collar jobs that cannot be outsourced. 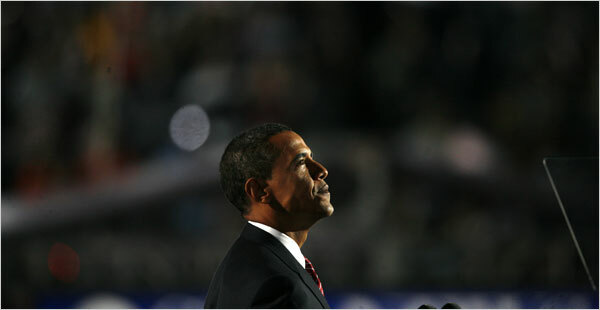 Obama’s policy, which anticipates eliminating imports by 2012 or earlier, is feasible and desirable. Respected economists and energy industry entrepreneurs, high-level business representatives from Fortune 500 companies and large investors are already enlisting to invest in the infrastructure to facilitate the transition. Every nation that has taken serious steps to de-carbonize its energy portfolio has reaped immediate economic growth. Sweden announced in 2006 the phase-out of all fossil fuels (and nuclear energy) by 2020. In 1991, the Swedes enacted a carbon tax — now up to $150 a ton — closed two nuclear reactors, and still dropped greenhouse emissions to 5 tons per person, compared with the U.S. per-capita rate of 20 tons. Thousands of entrepreneurs rushed to develop new ways of generating energy from wind, the sun and the tides, and from wood chips, agricultural waste and garbage. Growth rates climbed and the heavily taxed Swedish economy is now the world’s eighth richest by gross domestic product. Iceland was 80 percent dependent on imported coal and oil in the 1970s and was among the poorest economies in Europe. Today, Iceland is 100 percent energy independent, and according to the International Monetary Fund is now the fourth most affluent nation on Earth. There are many other examples: Brazil’s efforts to de-carbonize its transportation system has resulted in the largest and most robust economic expansion in its history. The United States has far greater domestic energy resources than Iceland or Sweden. We sit atop the second-largest geothermal resources in the world. The American Midwest is the Saudi Arabia of wind. Solar installations across just 19 percent of the most barren desert land in the Southwest could supply nearly all of our nation’s electricity needs even if every American owned an electric car. Obama’s vision of de-carbonizing our economy begins with a market-based carbon cap-and-trade system designed to put downward pressure on carbon emissions. He will invest billions to revamp the nation’s antiquated high-voltage power transmission system and press for cost-saving building and appliance standards that would cut our energy demand by half. For a tiny fraction of the projected cost of the Iraq war, we could completely wean the country from carbon. Homes and businesses will become power plants as people cash in by installing solar panels and wind turbines on their buildings, and selling the stored energy in their plug-in hybrids back to the grid at peak hours. By kicking its carbon addiction, America will increase its national wealth. Everyone will profit from the green gold rush. We will create a decentralized and highly distributable grid that is far more resilient and safe for our country; a terrorist might knock out a power plant, but never a million homes. And for the first time in half a century, we will live free from Middle Eastern wars and entanglements with petty tyrants who despise democracy and are hated by their own people.